2500 Peachtree is one of Buckhead’s most prestigious condominium communities to call home. Set on three full acres of beautifully landscaped grounds and gardens, the atmosphere surrounding condos for sale at 2500 Peachtree is second-to-none. In all, 2500 Peachtree stands 10 stories high and houses 59 fabulous condominium residences that are best described as classic, elegant, and sophisticated—much like the building as a while. Look for 2500 Peachtree condos for sale to offer anywhere from 2,100 to 7,300 square feet of total living space, while luxury amenities here include valet and concierge services, a full fitness center with a sauna, an on-site pet park, and a lavish resident lounge that’s great for social gatherings and community events. 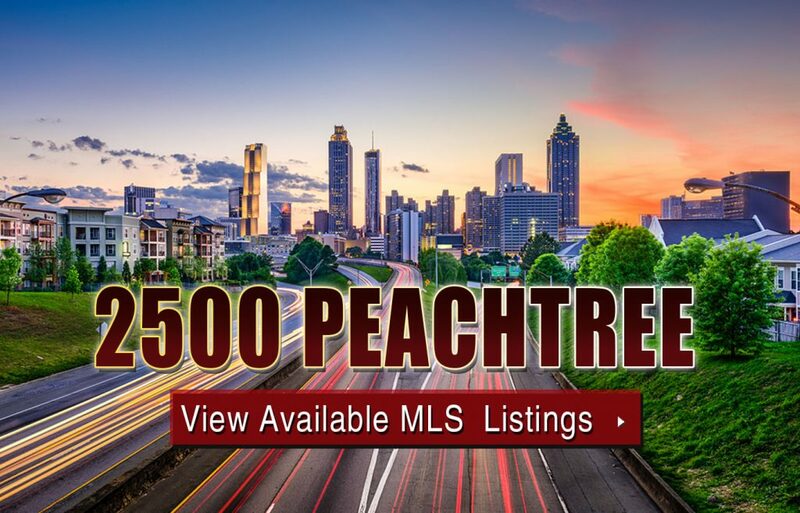 If you’re interested to learn more about 2500 Peachtree condos for sale, contact The Zac Team today at your earliest convenience or click below to start browsing what’s currently available on the MLS. Listed below are recently closed sales at 2500 Peachtree in Buckhead. Whether you’re thinking about buying or selling a condo at 2500 Peachtree Atlanta, checking to see what other comparable properties have sold for in recent weeks and months provides helpful insight into current market conditions within the community. For more information about 2500 Peachtree condos for sale or for a complete list of recent condos sold in the neighborhood, contact The Zac Team today! Can’t find what you’re looking for in Atlanta’s 2500 Peachtree condo building? Start browsing other Atlanta real estate for sale or give the Zac Team a call at 404.564.7272 for help with your new home or condo search today!